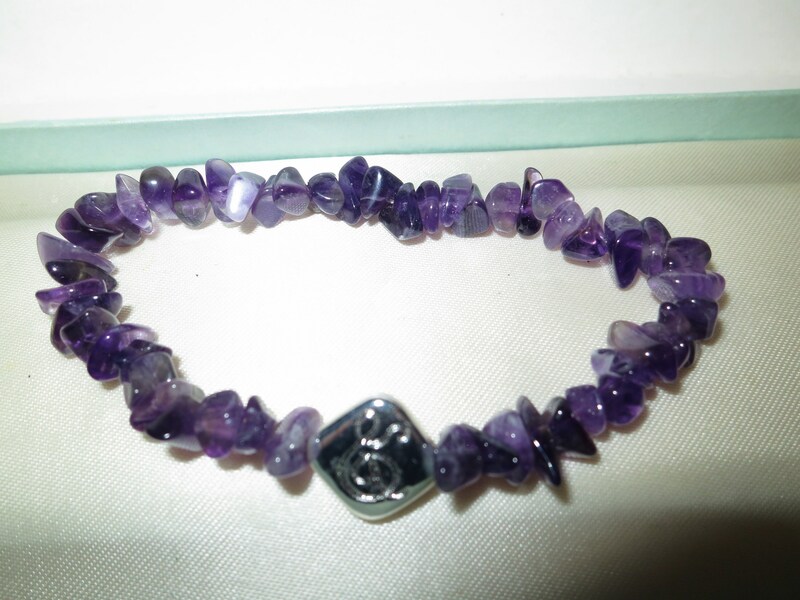 This is a very lovely vintage amethyst chip bracelet with a carved silver metal bead. Stretches to fit average wrist. 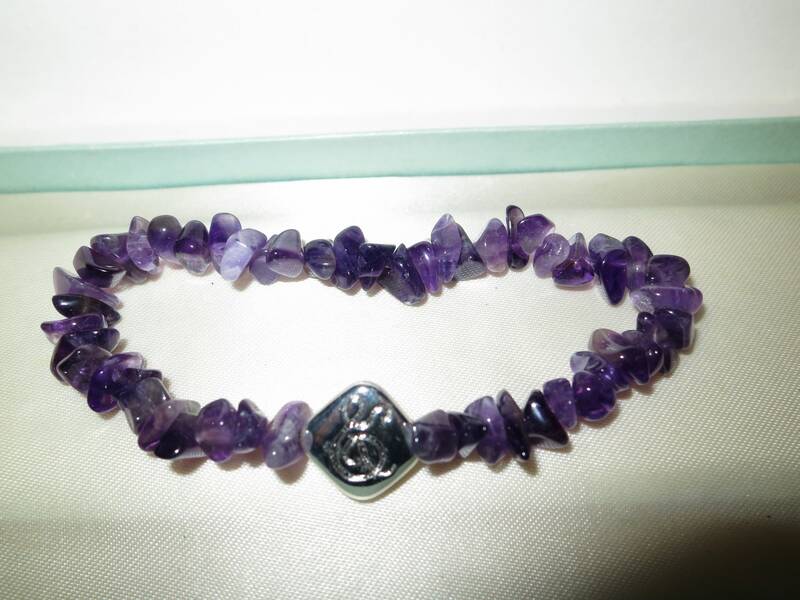 A beautiful piece to add to your jewellery collection.